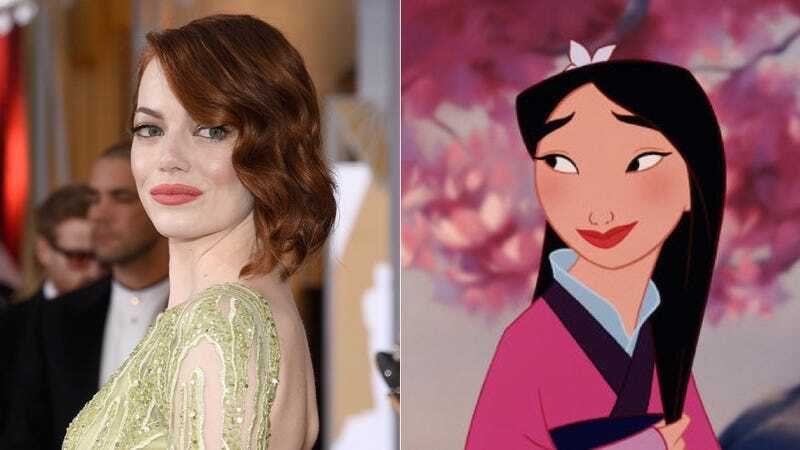 Disney’s live-action version of Mulan is in the works and...because we all know how these things go down...there’s already a preemptive petition to prevent a white actress from being cast in the lead role. This petition, which currently has over 20,000 signatures, demands that Disney’s producers cast an Asian actor as Mulan instead of whitewashing the movie, as is Hollywood’s tradition. For the audience, whitewashing implies that POCs cannot be heroes (although they may at times be villains or supporting characters), leaving it far more difficult for countless children around the world to see themselves in the stories they love and think that they, too, can make a difference. Something tells me that Hollywood could care less what we think. Exodus still happened (and failed) despite all the negative controversy. So this might be inevitable! In that case, who would make the worst white Mulan?